The International Monetary Fund says that the reason for growing market concentration is unclear. The IMF’s macroeconomic reasoning behind this conclusion is not as important as the conclusion itself. Today, four companies produce 84 percent of our beef. Four companies control the world’s grain market. Six corporations control 90 percent of the media. 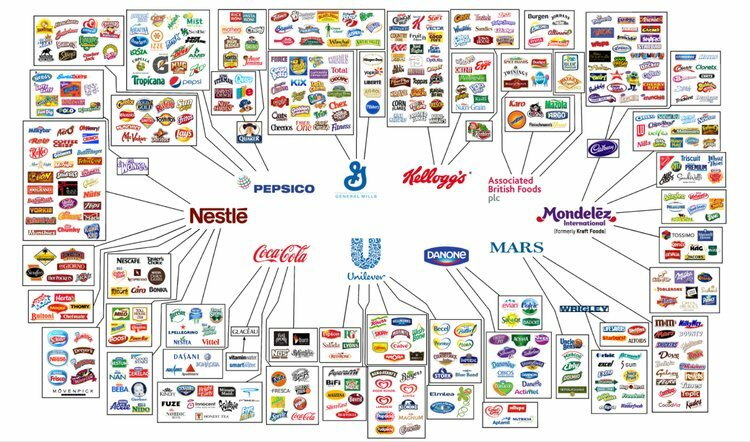 Ten companies control everything you buy. Three companies completely dominate the farm equipment market. Fourteen companies control the entire global auto industry. You get the idea. This extends to many different industries where giant global corporations are gobbling up everything in sight. While there are many finer points that might be made, I lay the blame on the New International Economic Order, which rebranded itself as Sustainable Development and Agenda 21, aka Technocracy, in 1992 at the infamous Earth Summit meeting in Rio de Janeiro. I hope these words can be emblazoned on your mind, because it reveals where the modern scam started, and why. The IMF knows full well why monopolies are growing throughout the world, why the middle class is disappearing and why wealth inequality is at the highest level ever. All the sordid details of this deception is contained in Technocracy Rising: The Trojan Horse of Global Transformation and Technocracy: The Hard Road to World Order.